Olen Steinhauer - "All the Old Knives"
Warwick's is hosting New York Times bestselling author Olen Steinhauer on Tuesday, March 10th at 7:30pm to present his exciting new book, All the Old Knives. Olen Steinhauer is the author of an Eastern European thriller series including The Bridge of Sighs, 36 Yalta Boulevard, Liberation Movements, and Victory Square. His work has been twice nominated for the Edgar and shortlisted for the Ellis Peters Historical Dagger and the Anthony, the Barry, and the Macavity awards. This event is free and open to the public. Reserved Seating is available. Only books purchased from Warwick's will be signed. Please call the Warwick's Book Dept. (858) 454-0347 for details. Six years ago in Vienna, terrorists took over a hundred hostages, and the rescue attempt went terribly wrong. The CIA's Vienna station was witness to this tragedy, gathering intel from its sources during those tense hours, assimilating facts from the ground and from an agent on the inside. So when it all went wrong, the question had to be asked: Had their agent been compromised, and how? Two of the CIA's case officers in Vienna, Henry Pelham and Celia Harrison, were lovers at the time, and on the night of the hostage crisis Celia decided she'd had enough. She left the agency, married and had children, and is now living an ordinary life in the idyllic town of Carmel-by-the-Sea. Henry is still a case officer in Vienna, and has traveled to California to see her one more time, to relive the past, maybe, or to put it behind him once and for all. Olen Steinhauer's book The Cairo Affair was available from LibraryThing Early Reviewers. 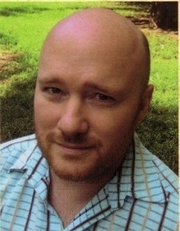 Olen Steinhauer is currently considered a "single author." If one or more works are by a distinct, homonymous authors, go ahead and split the author. Olen Steinhauer is composed of 5 names. You can examine and separate out names.